Bringing more of her deep heart and limitless talent to worship, Lauren Daigle is back with her new release 'Look Up Child'. Bringing God’s spirit through a soulful sound. Proving that Christian music can rival the chart-toppers without sacrificing its heart and identity, Look Up Child is as much a great introduction to modern Christian music as it is an example of what happens when someone follows their God-given creativity. From the sunniness of ‘Your Wings’ to the astounding opening track ‘Still Rolling Stones’, there is plenty to experience and be encouraged by. 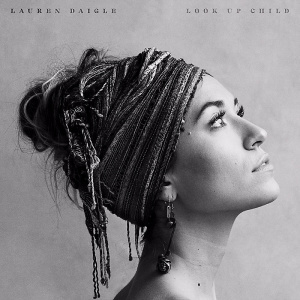 Look Up Child by Lauren Daigle was published by Integrity in September 2018 and is our 28th best seller. The ISBN for Look Up Child is 0829619167023. My Favourite Artist. Love it! I love this album. The songs are uplifting and powerful. I love Lauren's voice. I have already given several CD's away to friends and family. My favourite tracks are 'Rescue' and 'You Say', they are amazing!!! there isn't one track i don't like. Just buy it and be blessed. It is Lauren latest album and it just amazing from start to finish I especially like the song you say. It good because when you feel down and not loved It like she is signing God love you no matter what. I would give this 10/10 and 5 star rating. Love Lauren Daigle’s voice and the message she gets across. This cd is different and I wasn’t sure if I liked it as much as her others but once I listened to it a few times I felt inspired. Lauren writes honestly and we can all identify with her struggles and sometimes the inability to accept how much we are loved by God and how He is there for us irrespective of our failures. Definitely glad I got this cd and would recommend it to anyone. I already had Lauren's previous Cd, and played it endlessly in the car, so was looking forward to her new release. It is a bit different in style from the first one, but after a few plays I am enjoying and singing along with some of the songs, like I Believe, Look up Child. I like the reggae beat on a couple of the songs, and am pleased with my purchase. This is just brilliant. From the first track which made me smile from the first few seconds to songs speaking of our identity in Christ and of the Father’s heart for us, I can’t commend it highly enough. I love the songs. Each one connects with a heart of worship. Awesome songs, bought it again as a gift! This whole album has ministers to me. It puts In words my season. Got next day delivery which was just perfect.. didn't have to wait any longer. Great singer, great voice. Very refreshing. Recommended. I really like this album but sometimes I forget it's Lauren as she sounds so much like Adele! Some great tracks on here. A present for a friend fantastic music ! Soulful and spirited. Real and full of faith! Beautiful voice and heartfelt lyrics. Beautiful cd it will uplift me for many hours .Speedy delivery , thank you . Really good price and no delivery charge! I bought the CD for my daughter a d she is delighted with it. Good price and came well before time ! Take a peek at some articles related to Look Up Child. Got a question? No problem! Just click here to ask us about Look Up Child. How many tracks on this CD? Two-time GRAMMY Award nominee Lauren Daigle is back. After bursting onto the scene in 2015 with her platinum selling debut album How Can It Be, Lauren returns with a brand new album, Look Up Child, and new single "You Say". "Look Up Child has been in the works for quite some time and I'm excited to finally share it with my fans," says Lauren. "The studio has become my companion as I've poured all that I can into what is now a body of work that I deeply treasure." The first single from Look Up Child, "You Say," demonstrates a growth in Lauren's talent as a songwriter and vocalist. The song is both emotional and uplifting, a reminder to look inward to find strength in difficult times. "You Say" is now available across all streaming services and the official video can be viewed here. From catchy melodies, to reggae jive, sweeping orchestral ballads to back beat vibe, Look Up Child has transcribed the pulse of Lauren's veins into musical form. She adds, "Every part of the music experience, of Look Up Child, shares a profound love, deep rooted joy, and hopefully a connection to the music for people to share." Now Playing: Still Rolling Stones Your browser does not support the audio element.